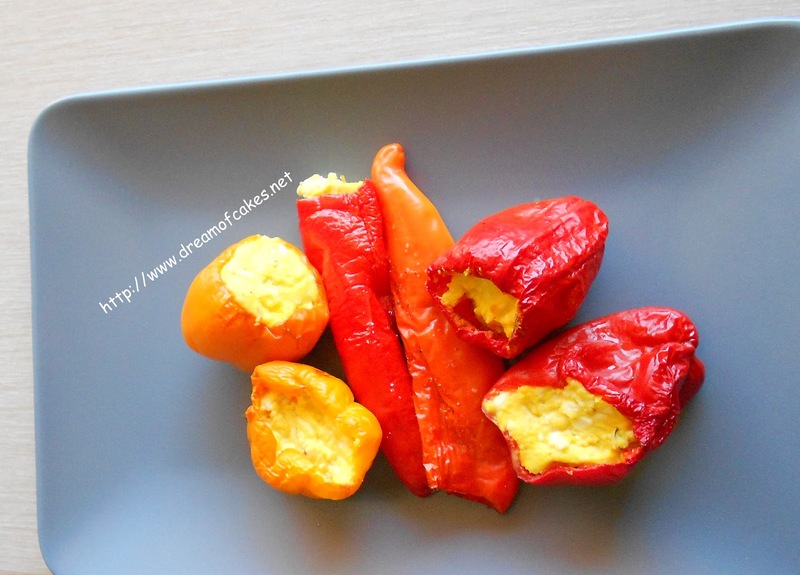 2) In a large bowl mix all ingredients, and with the help of a small teaspoon fill the peppers with the cheese mixture. 3) Place the stuffed peppers in a 20cm x 20cm square Pyrex, and spray them with oil. 4) Cook for 20 -25 minutes. MMM Looks great and yummy,I will try it tonight! Peppers have such a unique vibrancy to their colors. I love the simplicity of this dish - it really focuses on the flavors and beauty of the peppers without anything to fancy. There is beauty in simplicity. I LOVE stuffed peppers. So delish! 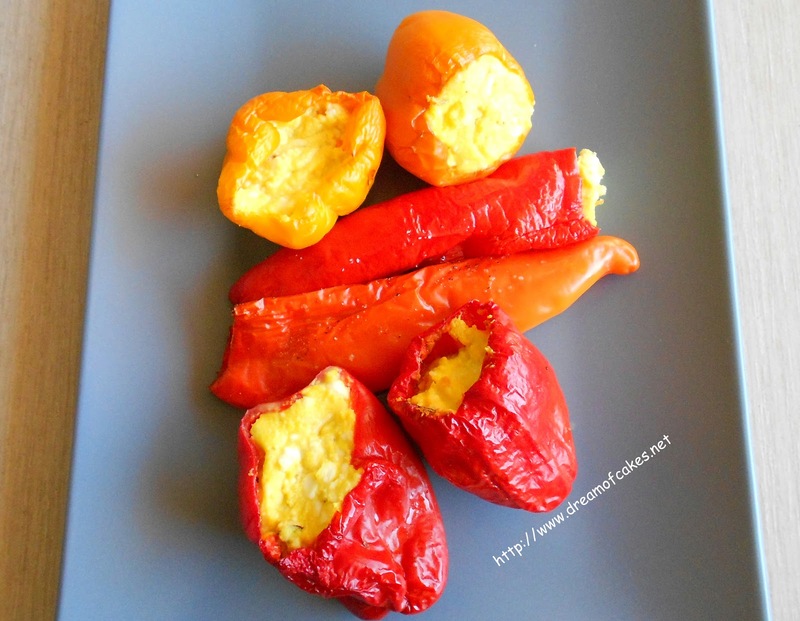 Eftychia, These peppers are lovely! I agree with Laura in that bite-sized versions would be splendid at a party. For now, I'll take the full-sized version and pair it with a nice white wine. Thank you for sharing the recipe.